Search Engine Optimization (SEO) is critical if you want to increase traffic to your website. However, a lot of sites suffer in search engine rankings due to not understanding the basics of SEO or by following outdated practices. The best way to figure out if your SEO strategy needs an overhaul is to run an in-depth audit. When you take a closer look at the way you do things, you’ll quickly be able to figure out how to improve your process. Let’s talk about how to do it! Search Engine Optimization (SEO) is always changing. The way people find content evolves and search engines are always trying to adapt and provide better results. For one example, let’s look at the rise of mobile internet usage. For a while now, mobile traffic has overtaken its desktop counterpart. One of the consequences of that shift has been the rise of voice-based searches. Curiously, the way we word voice searches isn’t the same as when we use text. 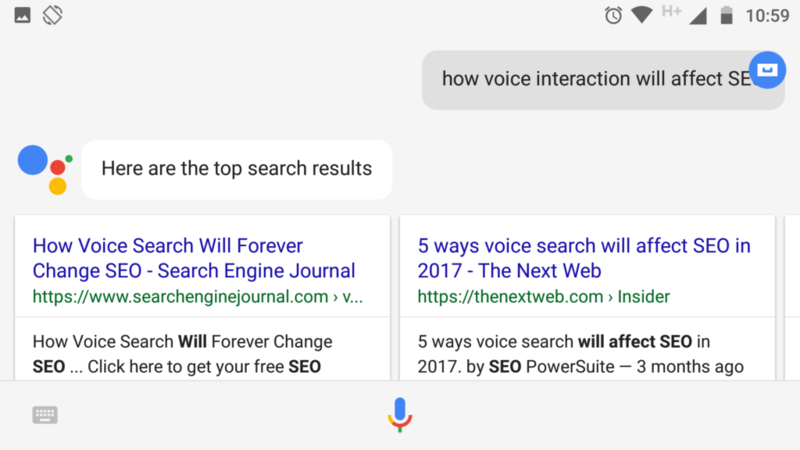 For example, voice-based searches tend to use more natural language. From an SEO standpoint, that means you might want to favor long-tail keywords to get a closer match. The rise in mobile searches has led Google to overhaul their results altogether. The search engine plans to roll out what they’re calling their ‘mobile-first’ index. What this means is the Search Engine Results Pages (SERPs) will favor mobile versions of websites over their desktop counterparts, and penalize sites that don’t provide a good experience for smaller devices. Another interesting shift is the rise of deep learning, which promises to bring radical changes to the way we tackle SEO. There are already a handful of tools that can assume some of the work of optimizing your content’s metadata. This could end up cutting down on the time it takes to optimize your SEO. However, the effectiveness of these tolls depends on whether they can provide a reasonable degree of reliability, which remains to be seen. However, even as the landscape shifts, the basics of SEO remain the same. You should still focus on creating the best content you can and providing a user-friendly experience. You should also be using a mobile-first approach when creating new websites. As a WordPress user, you have an edge since you have access to mobile-friendly themes such as Divi. There are also plenty of tools to help you, such as Yoast SEO. Having all of these tools at your disposal doesn’t mean that you shouldn’t regularly look to improve your SEO strategy. One great way of doing so is by conducting SEO audits, which is something we’ll look at next. A SEO audit might sound like a complex task, but in reality it really just means taking a close look at the way you tackle SEO in WordPress. In this section, we’ll talk about how you can ensure that your SEO strategy is up-to-date and to discover where it could be improved. Throughout many of these tasks, we’ll be using Google Analytics. If you don’t have an account yet or you haven’t integrated the platform with WordPress, now’s the time to do so. It’s a small distinction you might not notice, but search engines will. If you have a canonical URL set for your website, all variants of your URL should redirect towards the same one. Try accessing all those variants now and see what happens. If you don’t have a canonical URL, that’s the first thing you should fix as part of your audit. Meta descriptions are the snippets of text that show up below page titles in search results. An excellent meta description can lead to more clicks, whereas lackluster ones can deter potential visitors. A lot of websites build up large libraries of content without paying too much attention to the meta descriptions they use. That’s a costly mistake, especially since you probably put a lot of effort into choosing the right keywords. If you don’t set a meta description manually, search engines will automatically pull it from the first lines of your content. In some cases, you’ll luck out and end up with a decent description without any work. However, you shouldn’t rely on this, and should aim to optimize descriptions as much as possible. SEO is essential if you want your website to succeed. However, a lot of people suffer in search engines because they don’t understand the basics of the field. In this article, we’re going to show you how to conduct an SEO audit to help you improve your rankings. It’s simple, and it tells visitors exactly what to expect from the full article. Once you’ve made sure all your pages have excellent meta descriptions, you can go a step further and start to explore schema markup and rich snippets, to improve them even further. If your pages don’t show up on the SERPs at all, most people won’t be able to find it. When this happens, it’s because Google and other search engines aren’t indexing your pages. In most cases, this error will only affect a few of your pages, but even that is a problem. You should see the total number of results below the search bar, which tells you how many pages Google recognizes. Now, go to your WordPress dashboard and look within both your Pages and Posts tabs. The platform will tell you how many live elements there are for both, and you can add them up to see if that number matches what Google tells you. If you also have custom post types set up on WordPress, you’ll want to count those in as well. If you get a number that’s higher than Google’s results, you’ll need to look into why they’re not getting indexed and take steps to index your pages quickly. Keywords are the heart and soul of a successful SEO strategy. If you target the right keywords and create content that stands out, you should rise in the SERPs accordingly. With that in mind, it’s important that you periodically check what keywords you’re ranking well for and which ones you aren’t. The service will show you a list of keywords from which you’re getting traffic. By default, it’ll show you the traffic from the current day, but you can get a better overview by switching to the Week or Month tabs. Once you have a list of your best-performing keywords, your next move should be to check out if you’re taking full advantage of them. For example, one of your keywords will do better than expected. When that happens, you should go back to the WordPress editor and try to capitalize on the popularity of that keyword by improving the article that targets it. You can also use this information to look for related keywords you might be able to work with in future posts. With this method you’ll be able to fill out any gaps in your content library. Backlinks are one of the most important aspects of SEO and one of the hardest to tackle. Getting reputable sites to link to your content is often all about patience and publishing high-quality, interesting articles. However, without decent backlinks your website may never rise to the spot it could in the SERPs. More importantly, Google will break down how much traffic each of those sites is netting you. If your backlinks aren’t performing as well as you hope, you can try to get more aggressive in your linking outreach efforts. Another good strategy is to take a look at which websites are sending you the most traffic and check out if they offer any guest blogging opportunities. This can help you lead even more of their audience to you, particularly since you’ve already proven to be popular with their visitors. SEO is a complex field. There are a lot of best practices you need to keep in mind if you want your website to rise in the rankings. The problem is, it’s easy to fall into bad habits. If you want to improve your SEO process, you’ll need to run a full audit to figure out what your weaknesses are. This can help you optimize your process, find areas your site performs well in, and ones you can improve upon. A solid SEO strategy requires you to keep a lot of things in mind, but it’s one of the most surefire ways to turn your website into a success. Do you have any questions about how to tackle your website’s SEO more effectively? Let’s talk about them in the comments section below! SEO is today the cornerstone of website design. It does not make sense without it! Exactly what a beginner needs to understand about conducting an SEO audit. Great write up. Nice article John. Seo is truly most important to get some visitors. Also choosing the right domeinnaam is a step-up for some conversion/traffic. When you register a domain-name witch some good searched keywords, used in the domain-name, the domain will directly have a high ranking in search engines. One of the worst and least informative article about audits. An audit is more than 5 steps. Great post! very informative. Thanks. This is a great SEO article. It’s very informative and to the point. The number 4 point about keywords in Google Analytics is useless. The first line show the “Not provided” keywords : these are the keywords that Google do not want to show us. 95%. So, the keywords that we can see are only 5% of the traffic. But, we can now have a far more accurate keyword overview via Google Search Console that show nearly 100% of keywords relative to a website : impressions, clicks, CTR and positions. There are some controverse views about backlinks and SEO today. Maybe someone can tell more about that? I really appreciate ET for publishing these kinds of articles. Thank you! The internet is now full of junk articles because most bloggers are focused on pleasing the search engines than their readers.